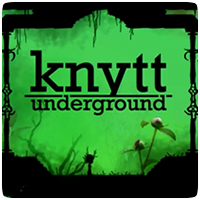 Later this week, new PS3 and PS Vita title Knytt Underground joins the Instant Game Collection for PlayStation Plus subscribers. The game is set in the future, hundreds of years after the humans disappeared from the planet. Sprites, fairies and various other lifeforms roam tunnels underground. They are curious about their origin and the meaning of life, and to find those answers they try to understand the ones who had obviously figured it out; the humans. The game will be available on the PlayStation Store this Friday, 21st December 2012. The title will support cross-play and cross-save and will be priced at £9.99/€12.99 for those without a PlayStation Plus membership.